These days we hear a lot of talk about the mantras used for meditation. Some people say a random word is best, others recommend the universal sound Aum or Om. But what about the mantras used in the Transcendental Meditation technique? Are they generic or special? Secular or religious? Useless or effective? And where do they come from? These are important questions so let’s find an answer for them. The Transcendental Meditation technique is an effortless mental procedure whereby an individual experiences increasingly quieter levels of thinking, leading to the experience of total silence; the source of thought, at the deepest level the mind. The technique of Transcendental Meditation has many unique features and one of them is something called a mantra. 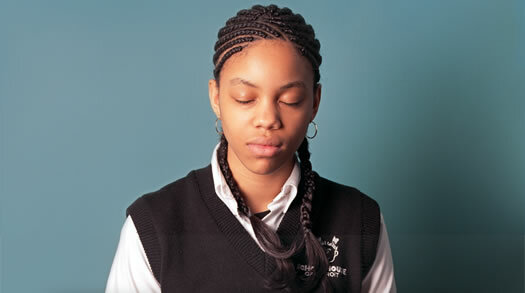 As part of personal instruction each student receives a suitable thought/sound or mantra for their meditation practice. These mantras are meaningless sounds which serve as the delicate vehicle on which the mind glides through deeper, more silent levels of the thinking process. For maximum effectiveness students are encouraged to refrain from speaking or writing down their mantra as this has a damaging and dulling effect on this highly delicate and refined meditation tool. Also, there is a limited pool of mantras that each Transcendental Meditation teacher draws upon to select the appropriate sound for each student. So it’s entirely possible that some students could have the same mantra. The mantra is selected by the teacher based on the suitability and harmonious effect it creates for each student. It’s important to note that the mantras are used for the sound quality only and have no assigned meaning. These two important aspects, suitability and meaninglessness, allow the mind to be lively but undirected at the same time, so it can sink deep within, ‘transcend’ thought and experience its own silent, inner nature. This is the process called ‘transcending’ which takes place during the Transcendental Meditation technique. To understand this principle more clearly lets examine the word ‘flower’. A word has two aspects: the sound value and the English meaning. When we say or think the word ‘flower’ we automatically consider the word’s meaning, its qualities and context. We might think of the color, the smell, the quantity, the location and so on and these thoughts about the flower engage and hold the mind on the surface, conscious thinking level and do not allow the mind to fathom its inner nature. Therefore by intention and by design, the mantra used in the Transcendental Meditation technique is a sound that has no meaning attributed to it either by the teacher or their student. At the same time it should be clear, that if a science, religion or cultural group were to assign a meaning to a mantra, in the past or future, it would still have no bearing on the use of that mantra in the instruction or practice of the Transcendental Meditation technique. Here is an example. For centuries “google” has been a delightful, nonsensical sound, uttered by babies. More recently however it has been attributed a meaning; the name of a worldwide, Internet search engine. However this new adult meaning has no bearing on a baby’s use of that same sound. Likewise mantras are sounds that are meaningless both to the Transcendental Meditation teacher and the student even though other people, cultures or religions may or may not have assigned a meaning to them. To further illustrate this point let’s consider the word “flat”. In the USA this sound has a meaning associated with the shape of an object. In England however, “flat” also refers to an apartment. Therefore, each respective culture utilizes sound and assigns meanings for their own localized purpose. Other languages, cultures and people who also use that same sound or word, are completely indifferent to the meaning assigned to that sound/word by other countries or cultures. The same is true with respect to the Transcendental Meditation technique. It utilizes specific mantra/sounds completely irrespective of their intended meaning in other languages or cultural settings. The Transcendental Meditation technique and the mantra/sounds it utilizes have their precise origin in the ancient Vedic tradition which predates all religions and cultures including the Hindu religion. The Vedic tradition is a universal body of complete and timeless knowledge encompassing the total field of natural law or underlying intelligence that governs the universe. Because the Vedas and the Vedic tradition are ancient and universal, many of its sounds, names and principals are found in many countries, cultures and religions around the world. The ancient Vedic tradition of India is the oldest continuous tradition of knowledge on earth. In 2003 the United Nations Educational, Scientific and Cultural Organization (UNESCO) proclaimed the Vedic tradition (specifically recitation of the Vedic hymns) a “masterpiece of intangible heritage to humanity”. The TM technique and its mantras are derived from this same Vedic tradition. Over thousands of years, the technique of Transcendental Meditation contained in the Vedas had been misinterpreted and therefore lost its effectiveness. It was then revived in the 1950’s, to its original and highly effective form, by Maharishi Mahesh Yogi who was the custodian and representative of the Vedic tradition in our generation. So we conclude therefore, that the mantras used in the Transcendental Meditation technique not only have their roots in an timeless tradition of knowledge but that they are also simple and powerful, ancient and unique, meaningful and meaningless, all at the same time! ®Transcendental Meditation and TM are registered trademarks of Maharishi Vedic Education Development Corporation, a non-profit educational organization. The energy for the electric motor comes from lithium-ion batteries that are available in two different stack configurations for short- and long-distance driving. 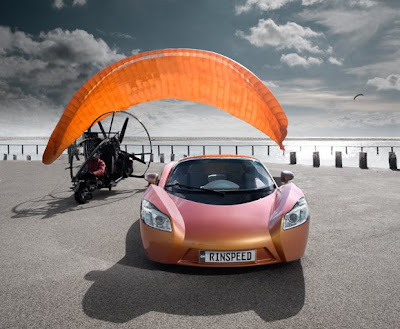 The electric motor of the „iChange“ produces 150kW, capable of propelling the car to a top speed of 220 km/h. The sprint from rest to 100 km/h takes just slightly over four seconds. This impressive performance is made possible with the help of a six-speed pre-selector gearbox from the Subaru WRX car. The central research department of Siemens AG (Corporate Technology, CT) supplied the integration technology for engine/generator, electronics and battery connection interface. Siemens has long been one of the world leaders for energy systems and eco technology with pioneering concepts for electric drive systems. Its products cover the entire electric value-added chain from generation to distribution to consumption. The gearbox and drivetrain are lubricated with eco-friendly lubricants from Motorex. Custom-made lightweight 17” and 18” forged wheels with aerodynamic shrouds are supplied by light-alloy wheel specialists AEZ. Pirelli P Zero tires in size 215/40-17 in front and size 245/40-18 in back provide optimal grip. The front lights derive from the Opel Insignia, the rear lamps come from the Opel Astra Twin Top. An initial walk-around reveals that the concept car has no doors. The entire electrically powered roof section of the car measuring just 1.03 meters in height tilts forward to allow passengers to board. Also gone are such mundane things as a key. Its role is filled by an Apple iPhone, which also controls the most important vehicle functions. The „iChange“ is drastically different than ordinary cars in every detail: At the heart of the concept car lies the groundbreaking next-generation Harman/Kardon infotainment system. The system uses an innovative Intel processor technology that guarantees minimized power consumption. The same is true for the Harman/Kardon high-efficiency audio system. This revolutionary technology meets highest demands on sound quality, weighs much less than ordinary systems and at the same time uses only a fraction of energy. This opens the door to a new dimension of energy efficiency. The route guidance of the navigation system is also especially eco-friendly: The system calculates the most energy-saving route and displays the directions in realistic 3D view. When it comes to the subject of heating systems, the "iChange" is as versatile as its car body. Because the electric motor produces too little waste heat, the concept vehicle depends on a high-performance auxiliary heater. The Esslingen-based Eberspächer Group – one of the world's leading manufacturers of vehicle heating systems - designed two tailor-made ecological heating systems especially for this project: an electric heater as well as an ethanol 85 heater. This optimally accentuates the advantages of the two technologies: The entirely emission free electric PTC heater proves itself at short distances. Over long distances, the battery-independent alternative fuel-powered heater ensures a significantly longer operating range of the vehicle. As a result, even the heater of the "iChange" variably adjusts to the respective requirements. The Maharishi Ayurveda Health Centre Bad Ems has 1,000 sq. meters of pleasant treatment and recreation rooms. These include the doctors' offices, rooms for seminars, yoga and meditation, a music oasis and guest recreation areas. All rooms have been lovingly restored and decorated so that you can completely relax during your stay. You will find the Health and Seminar complex in the east wing of The Häckers Kurhotel, the former residence of Kaiser Wilhelm 1. During your treatment you will be accommodated in the spacious freshly renovated rooms of Häckers Kurhotel Bad Ems (4 or 5 Star Standard), so that you can indulge yourself during your stay. At least once a year I treat myself to a Panchakarma course. It's a fantastic pick me up and I feel years younger. The more often I take a course in the wonderful atmosphere of Bad Ems, the longer the benefits last. The deep rest and rejuvenation of Panchakarma is something I could no longer do without." Within the hotel you may go to your treatment wearing your bathrobe. In-between individual treatments you can rest in your room. It is only a short distance between the restaurant and seminar rooms. You may also arrange your own accommodation privately in one of the surrounding hotels or holiday flats. Since 1996 the Maharishi Ayurveda Health Centre has been licensed by the state as a Private Clinic. The facilities are under government medical control. The therapy rooms and kitchen are regularly inspecfted to ensure they maintain the highest standards of hygiene. You have the security that are doctors are always available 24 hrs every day of the year. Around 50 staff in the Ayurvedic Clinic are ready to serve you and make your stay as pleasant as possible. The experienced team of doctors, therapists and customer service staff are pleased to be able to attend to you during your treatment. 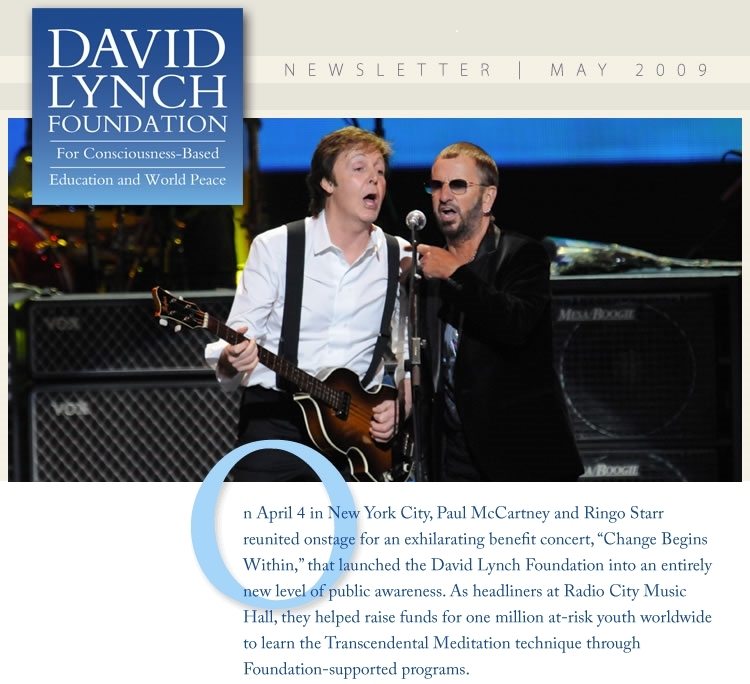 On April 4th, 2009 at Radio City Music Hall in New York City, Paul McCartney & Friends came together for the Change Begins Within benefit concert hosted by the David Lynch Foundation. The concert raised funds to teach Transcendental Meditation to 1 million at-risk youth. Joining Paul were Ringo Starr, Sheryl Crow, Donovan, Eddie Vedder, Ben Harper, Moby, Paul Horn, Bettye LaVette and Jim James. The Mayor of the only city in the world where it is illegal to sell non-organic produce is starting an 11-day visit to New Zealand this weekend (Saturday May 14). 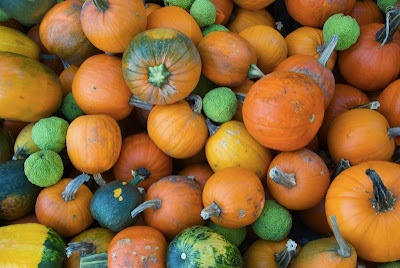 Robert G. Wynne is Mayor of Maharishi Vedic City in Iowa, USA, which has banned the sale of all non-organic food from its city in recognition of the importance of healthy food for its citizens. It has also begun construction on the first of a planned 100 acres of greenhouses in which it will grow organic produce for residents of the City and Midwest. Vedic Architecture: Every building is designed according to Maharishi Sthapatya Veda design, to promote health, happiness, and good fortune. Each building faces east and has a central silent space called a Brahmasthan and a golden roof ornament called a kalash. Vedic Health Care: Probably the healthiest city in America, the City is the home to the College of Maharishi Vedic Medicine of Maharishi University of Management, and The Raj, America’s flagship health centre and spa based on the natural, prevention-oriented Maharishi Vedic Approach to Health. This city, designed and carefully laid out on the town planning principles of Vedic architecture, was incorporated on July 25, 2001 by the City Development Board of Iowa and is the 950th city in the state. By such incorporation, the city obtains access to state funding, and can issue bonds and levy taxes. Under a new Constitution, government programs must be judged by the happiness they produce, not by the economic benefits. THIMPHU, Bhutan — If the rest of the world cannot get it right in these unhappy times, this tiny Buddhist kingdom high in the Himalayan mountains says it is working on an answer. The notion of gross national happiness was the inspiration of the former king, Jigme Singye Wangchuck, in the 1970s as an alternative to the gross national product. Now, the Bhutanese are refining the country’s guiding philosophy into what they see as a new political science, and it has ripened into government policy just when the world may need it, said Kinley Dorji, secretary of information and communications. Under a new Constitution adopted last year, government programs — from agriculture to transportation to foreign trade — must be judged not by the economic benefits they may offer but by the happiness they produce. The Bhutanese have started with an experiment within an experiment, accepting the resignation of the popular king as an absolute monarch and holding the country’s first democratic election a year ago. It was a rare case of a monarch’s unilaterally stepping back from power, and an even rarer case of his doing so against the wishes of his subjects. He gave the throne to his son, Jigme Khesar Namgyel Wangchuck, who was crowned in November in the new role of constitutional monarch without executive power. Bhutan is, perhaps, an easy place to nimbly rewrite economic rules — a country with one airport and two commercial planes, where the east can only be reached from the west after four days’ travel on mountain roads. No more than 700,000 people live in the kingdom, squeezed between the world’s two most populous nations, India and China, and its task now is to control and manage the inevitable changes to its way of life. It is a country where cigarettes are banned and television was introduced just 10 years ago, where traditional clothing and architecture are enforced by law and where the capital city has no stoplight and just one traffic officer on duty. If the world is to take gross national happiness seriously, the Bhutanese concede, they must work out a scheme of definitions and standards that can be quantified and measured by the big players of the world’s economy. “Once Bhutan said, ‘O.K., here we are with G.N.H.,’ the developed world and the World Bank and the I.M.F. and so on asked, ‘How do you measure it?’ ” Mr. Dorji said, characterizing the reactions of the world’s big economic players. So the Bhutanese produced an intricate model of well-being that features the four pillars, the nine domains and the 72 indicators of happiness. Specifically, the government has determined that the four pillars of a happy society involve the economy, culture, the environment and good governance. It breaks these into nine domains: psychological well-being, ecology, health, education, culture, living standards, time use, community vitality and good governance, each with its own weighted and unweighted G.N.H. index. All of this is to be analyzed using the 72 indicators. Under the domain of psychological well-being, for example, indicators include the frequencies of prayer and meditation and of feelings of selfishness, jealousy, calm, compassion, generosity and frustration as well as suicidal thoughts. “We are even breaking down the time of day: how much time a person spends with family, at work and so on,” Mr. Dorji said. Every two years, these indicators are to be reassessed through a nationwide questionnaire, said Karma Tshiteem, secretary of the Gross National Happiness Commission, as he sat in his office at the end of a hard day of work that he said made him happy. Gross national happiness has a broader application for Bhutan as it races to preserve its identity and culture from the encroachments of the outside world. Bhutan is pitting its four pillars, nine domains and 72 indicators against the 48 channels of Hollywood and Bollywood that have invaded since television was permitted a decade ago. So if G.N.H. may hold the secret of happiness for people suffering from the collapse of financial institutions abroad, it offers something more urgent here in this pristine culture. Stress undermines learning and health. The optimal mental state for a student to learn is relaxed alertness, according to extensive research. The Transcendental Meditation technique produces a unique state of “restful alertness,” which integrates brain functioning, improves academic achievement, reduces stress and anxiety, improves executive function, and reduces symptoms in students with ADHD. This national webconference will introduce you to this research-based, non-drug approach to improving academic achievement and reducing stress and stress-related disorders among students. John Hagelin, Ph.D. President of the David Lynch Foundation; Harvard-trained quantum physicist; educator, author, and leading researcher of the effects on the Transcendental Meditation technique on brain development and mental and physical health. Sarina Grosswald, Ed.D. George Washington University-trained specialist in cognitive learning; executive director of the Office of ADHD and Learning Differences for the David Lynch Foundation; author of a new study on ADHD and the Transcendental Meditation technique. William Stixrud, Ph.D. Clinical neuropsychologist specializing in the evaluation and treatment of children, adolescents, and adults with learning, attention, and/or social/emotional difficulties; associate clinical professor of psychiatry at Georgetown University Medical Center; co-author of a new study on ADHD and the Transcendental Meditation technique. Norman E. Rosenthal, M.D. Senior researcher in psychiatry and psychobiology for 20 years at the National Institute of Mental Health; clinical professor of psychiatry at Georgetown University; author of a new study now under way on the effects of the Transcendental Meditation technique on bipolar disorder and post-traumatic stress disorder. Fred Travis, Ph.D. Neuroscientist; director of the Center for Brain, Consciousness, and Cognition; author of a new study on the effects of the Transcendental Meditation technique on stress and brain function among college students. Mental health professionals, guidance counselors, educators, and parents. Please register at DavidLynchFoundation.org/conference. The webconference is free. Development Corporation, a 501(c)(3) non-profit educational organization. Bandaríski kvikmyndaleikstjórinn David Lynch var nýverið staddur hér á landi til að halda námskeið í innhverfri íhugun. Hann sagði Agli Helgasyni frá reynslu sinni af hugleiðslu, kvikmyndum sínum og skoðunum á lífinu almennt í Silfrinu sunnudaginn 3. Maí. Excellent interview by Agli Helgasyni from the Icelandic National Broadcasting Service - Ríkisútvarpið RUV - with David Lynch during his visit to Iceland. Help David Lynch Foundation for Consciousness-based Education and World Peace to win the $25,000 Social Media Makeover! Sheryl Crow, Donovan, Eddie Vedder, Ben Harper, Moby, Paul Horn, Angelo Badalamenti, Bettye LaVette, and Jim James joined the two remaining Beatles to thrill the crowd as well, as did Jerry Seinfeld in a brilliant guest performance Between acts, David Lynch showed powerful film clips of meditating students in Foundation schools, and celebrity personalities Howard Stern, Mike Love of the Beach Boys, and Laura Dern spoke passionately about the benefits of TM practice. The global press responded to the event with thousands of headlines and front-page stories and hundreds of television and radio shows. In addition to their superb individual performances, the musicians at the concert sang together on many songs and created a powerful, joyful onstage camaraderie and unity, with everyone committed to bringing meditation to students everywhere and helping the youth reach their full potential. In the past three years, the David Lynch Foundation has provided scholarship funding for more than 70,000 students, teachers, and parents to learn to meditate in the U.S. and Canada and throughout South America, Europe, Africa, Asia and the Middle East. Half a million students in 60 countries are currently waiting to begin the Transcendental Meditation program, including students in over 100 schools in New York City alone. To create a less violent, more peaceful world, the David Lynch Foundation is continuing to raise the millions of dollars needed to fulfill its goal of teaching one million children to meditate. You can help. If you would like to contribute to changing school environments for the better—if you want to help create safe, healthy educational institutions where students want to learn, violent incidents are a thing of the past, students’ grades improve, and suspensions are almost nonexistent—please contact the David Lynch Foundation: info@davidlynchfoundation.org. Note: These exclusive DLF.TV video interviews with Paul McCartney and friends will be included in a documentary film of the concert, to be released soon. Stay tuned! David about translating ideas from thought to reality and how the TM technique has fit into his film career.